In addition to Freeport in the Timok project, Nevsun’s partner in another project in the Bor area, named Tilva, is Rio Tinto, one of the largest mining corporations in the world. The ore deposit Cukaru Peki, near Bor, is potentially one of the richest copper and gold mining sites in the world. Cliff Davis, president of the Canadian company Nevsun, says that they wouldn’t have invested USD 500 million in buying out the majority right for exploration in that area if they hadn’t been certain of it. The company has recently become the majority owner of exploration rights in the Cukaru Peki area, which is estimated to contain resources of 65 million tons of ore, from which up to 1.7 million tons of copper and 98 tons of gold could be extracted. Nevsun has recently bought the Canadian company Reservoir Mineral, RMC. This has indirectly made it the owner of Rakita, an enterprise which used to be owned by RMC and the American Freeport, and the project Timok, near Bor. Nevsun paid a total of USD 500 million for this, including USD 135 million paid to Freeport. When it comes to investing in the continuation of geological exploration, Davis said that it remained to be seen how much would be spent on exploration, but that the initial assessment was 50 to 70 million dollars. He added that it was early to give precise projections of when the mine might start working. However, following the investment of half a billion dollars for the purchase of the project, it is in Nevsun’s best interest to improve the project quickly in a regular and responsible manner, he emphasized. Davis said that Serbia would benefit greatly from the opening of a mine near Bor, due to the economic influence of the employment in the mine, which is the most important factor, but also due to multiple effects arising from the procurement of products and providing services for the needs of a potential mine. – It shouldn’t be forgotten that we would be obliged to pay the fee if the mine was to open, which is a considerable amount of money – he added. 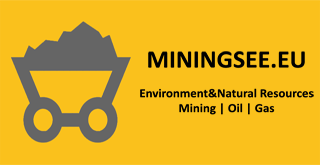 – Nevsun is working on a joint project with Rio Tinto on the Tilva exploration area. This joint project has been agreed on relatively recently and the exploration activities only started at the beginning of this year. It’s still early for any sort of results to show, and the entire project is financed by Rio Tinto – Cliff Davis emphasized.